ONE LOT OF 4,000 PCS. 10 or 25 Series, 1/4-20 Double Economy T-Nut, TNUTZ Part #ETD-010. ONE LOT OF 4,000 PIECES. 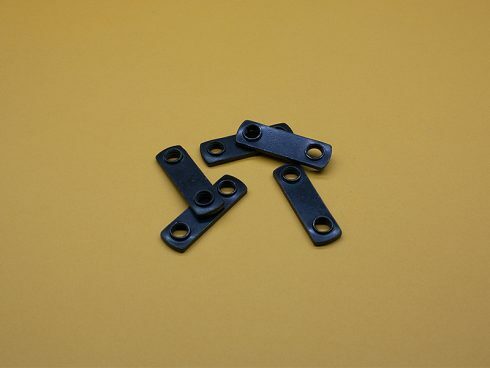 These Double Economy T-Nuts are a VERY economical way to bolt 10 Series joining plates and brackets to your 10 or 25 Series (or 6mm wide slot) T-Slotted Aluminum Extrusions. These T-Nuts have 1″ between centers, and are the best way to pre-assemble your plates and brackets to 6mm slot extrusions. These T-Nuts are slightly modified and can be loaded from the end of the extrusions.